Join us for a fabulous nine-day skating tour of Eastern Canada. 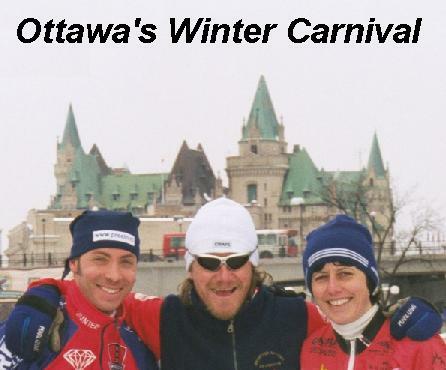 Imagine skating the Rideau Canal during Ottawa's famous winter carnival, Winterlude. 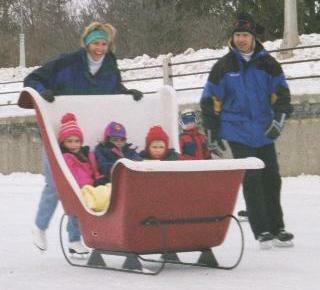 The largest expanse of groomed outdoor ice in North America, the 8-km Rideau is a magnet for up to 100,000 skaters each weekend who come to watch live performances on the ice, marvel at the ice sculpture garden at City Hall and the snow sculpture garden at Dow's Lake, push their kids down the canal in old-fashioned sleighs, and snack on regional specialties called Beaver Tails cooked to your order at canalside food stands. 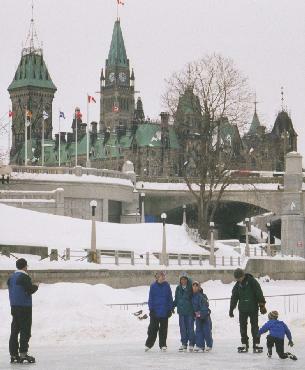 Stay on the banks of the canal at Ottawa's elegant Chateau Laurier (top left), within walking distance of the historic Canadian Parliament buildings (top right). 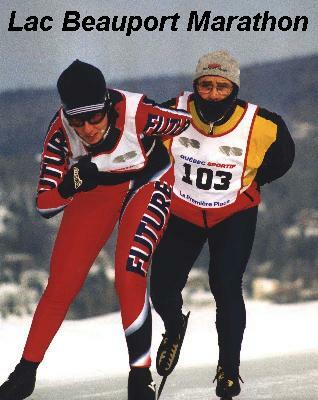 Want to cross-country ski too? Spend a day in the Gatineau Park skiing Canada's top nordic event, the Keskinada Loppet, with 5 km to 50 km tours for both classic and freestyle skiers. Don't miss out! 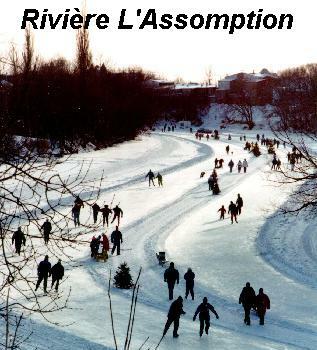 Midweek we'll cross into French-speaking Québec, where our first adventure takes us to the 9-km Rivière L'Assomption skating track in Joliette. Our final destination is Lac Beauport, where we'll stay at a deluxe lakeside hotel with cross-country and downhill skiing a short drive away. On the lake we can skate distances up to 50 kilometers on a groomed track. 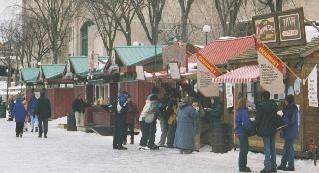 We'll also explore the narrow streets, antique stone buildings, cozy bistros and quaint shops - plus toboggan slides and outdoor skating parks - of Canada's oldest city, Québec.